The Caine Prize for African writing has done a tremendous job, bringing writers from the continent, known and unknown to the attention of the international literary landscape. Just over a decade old, it has produced winners like Leila Aboulela (Lyrics Alley) Helen Habila (Waiting for An Angel, Measureing Time and Oil on Water), E.C. Osondu (Voice of America) and Brian Chikwava (Harare North) who have all gone on to write critically acclaimed novels and short story collections. 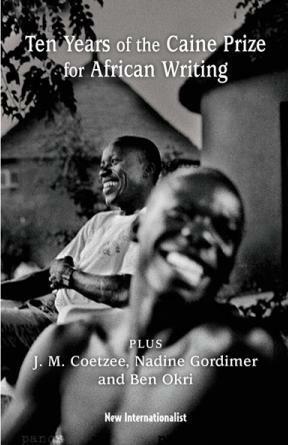 10 Years of The Caine Prize for African writing is a collection of all the winning short stories from 2000 to 2009. From Aboulela’s, The Museum, the story of Shadia and Bryan, who are from different worlds but their paths cross while studying at the same Scottish University to Helon Habila’s, Love Poem, one of the most powerful stories in the collection, which charts the experiences of a political detainee in a Nigerian prison during the military regime to Monica Arac de Nyeko’s, Jambula Tree, a tale of forbidden love between two young women in Uganda. 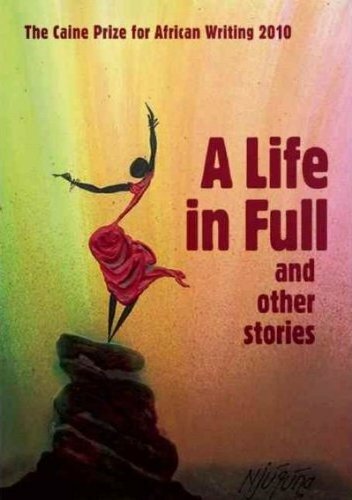 A Life In Full And Other Stories continues with the tradition of the Caine Prize, the annual publication of shortlisted stories and those that arise from the yearly Caine Prize workshop, held in an African country. From the winning short story Stickfighting Days by Olufemi Terry to the weird and humorous Soul Safari by Alnoor Amlani to the deeply disturbing, The Plantation, set in the Niger Delta, about the dangers of open oil pipelines on the local populace. Both collections reveal a wealth of talented writers with diverse voices and point of views about Africaand the African diaspora. At a time when the term ‘African Writer,’ provokes heated debates due to the responsibilities that come with the name tag or as argued by some, the limitations it imposes, writers whose works have been included in these anthologies, once again show us that Africa has great stories to tell. The writers deliver their stories as intriguing and contemporaneous narratives laced with humour, sensitivity and an adept knowledge of the continent’s heritage, cultures, traditions and nuances. As demonstrated by Binyavanga Wainaina’s Discovering Home, which won the award in 2002. Set in Kenya and Uganda, it details the idiosyncrasies of both countries and the complexities of human relationships. These writers present Africa’s strengths, flaws and rich narrative culture to the world as they remind us that Africa is a continent of unending possibilities. 10 Years of The Caine Prize for African Writing & A Life In Full And Other Stories are both published by the New Internationalist. This entry was posted on Sunday, October 2nd, 2011 at 3:15 am	and is filed under Africa, Art and Culture, Book Reviews, Journalism. You can follow any responses to this entry through the RSS 2.0 feed. You can leave a response, or trackback from your own site. You did a good and compact review. Hi Joseph, many thanks for the link to your website and feedback on review, well appreciated. The book is available on Amazon or you can check the Cassava Republic website, I believe they publish the Caine Prize books in Nigeria. Have a good one.